Pieris Pharmaceuticals is a clinical-stage biotechnology company developing novel therapeutics in asthma, immuno-oncology and other disease areas based on its proprietary Anticalin® platform. 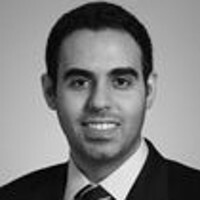 Ahmed Mousa is responsible for all legal and IP activities, including the company’s licence and collaboration agreements and management of the global patent portfolio. Mousa was previously an attorney with Covington & Burling LLP, representing pharmaceutical and biotechnology companies in a range of IP matters, a law clerk at the US Court of Appeals for the Third Circuit and an IP associate at Kirkland & Ellis LLP. He obtained undergraduate degrees in molecular biology and government from Cornell University. Before his legal career, Mousa was a research scientist with a focus in tumour biology and angiogenesis. He graduated from Georgetown Law with honours, and was the editor-in-chief of the Georgetown Journal of International Law.